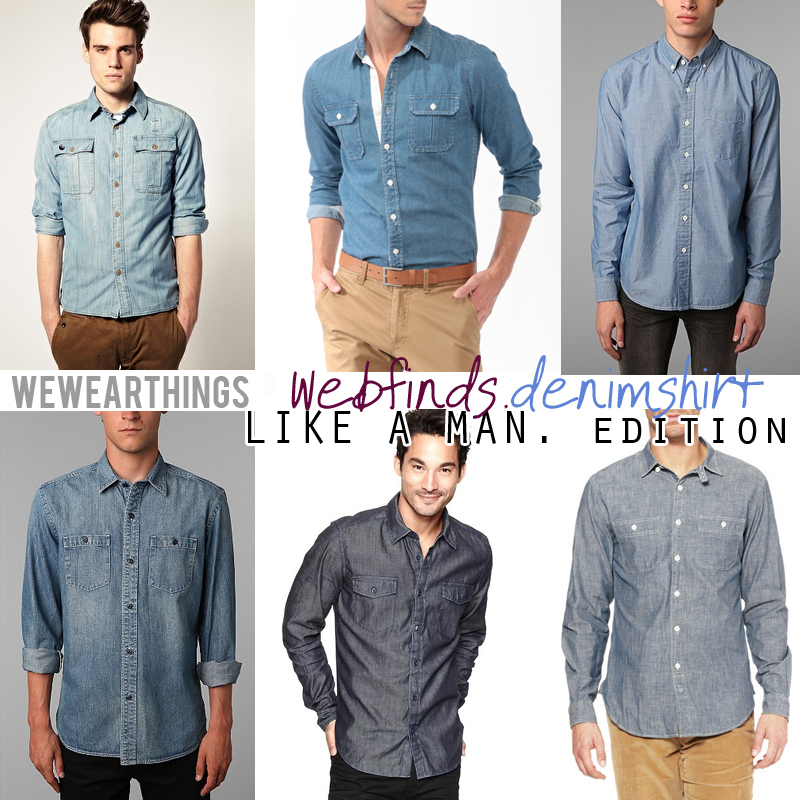 do you have a denim shirt yet? good keep it. if not it's a must have staple for the fall. and they're literally everywhere. we've picked out a few faves. listed from left to right. update** by the way this trend does extend into Menswear as well. Love your picks! I got mine from Banana Republic, and blogged about it today. 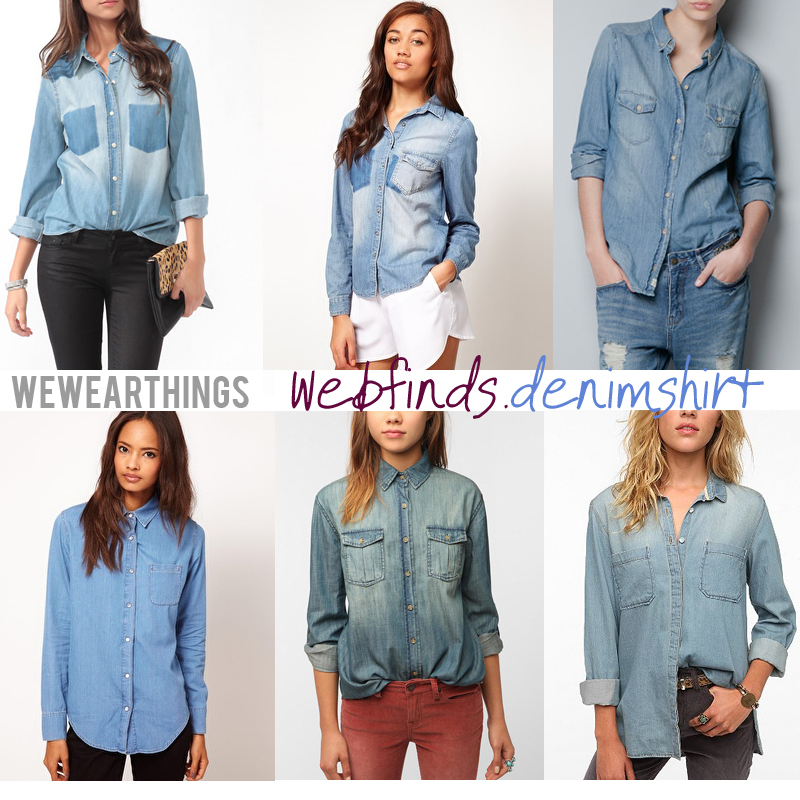 I love my chambray shirt, it's definitely a must have! OH I love the 1st & 2nd tops!! just picked one up from H&M!! love love love all chambray looks.. so gorgeous! I'm loving the ones on the top right in both. I'm not really a denim wearer, but they do look darn cool. Wow! just fantastic. I am interested to get such wonderful outfits. These shirts might be so good in winter season as well. I love winter and winter clothing. These are top quality Men's and women's Winter Clothing. It's my #1 seasonless staple. I feel like i should have 3 so I don't wear out the only one I have right now.